The Amare wall-mounted vanity family delivers beautiful wood grain exteriors offset by modern brushed chrome door pulls. Each vanity provides a full complement of storage areas behind sturdy soft-close doors and drawers. This versatile vanity family is available with distinctive vessel sinks or sleek integrated counter and sinks to fulfill your design dreams. A wall-mounted vanity leaves space in your bathroom for you to relax. The simple clean lines of the Amare wall-mounted vanity family are no-fuss and all style. Single-hole faucet mount. Available with Porcelain, Granite, and Marble vessel sink(s). Faucet(s) not included. 24 " Mirror included. 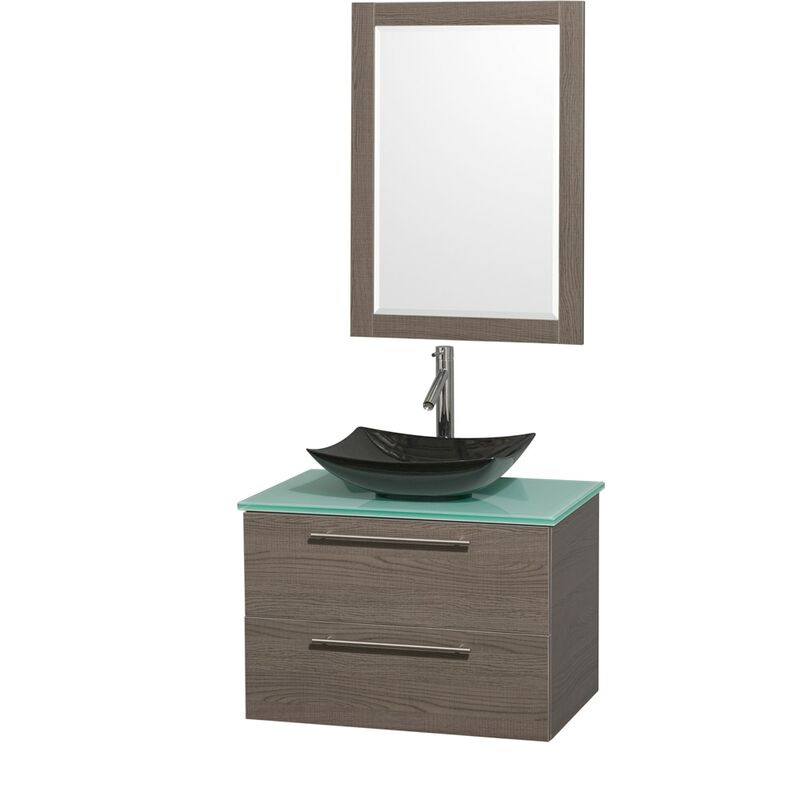 Dimensions - Vanity: 30" x 20.5" x 20.25"; Mirror: 23.75" x 0.75" x 33"